Michelle Yoder, OTR/L is a pediatric occupational therapist with 18 years of experience. She has specialized in pediatrics for the past 16 years. Michelle is the owner and clinic director of Touchstone Therapy in Charlotte, North Carolina. She is also the co-creator of Fundanoodle, a handwriting program. Michelle serves on the North Carolina Occupational Therapy Association Leadership Board as Membership Co-Chair. Michelle is a graduate of The Ohio State University. She is Ayres Sensory Integration Certified, which includes the ability to administer and interpret the Sensory Integration and Praxis Tests. In addition, she is a Certified Infant Massage Instructor. 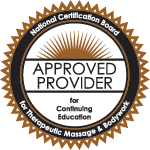 Other specialty areas and training include: Therapeutic Listening, Interactive Metronome, TAMO, SOS Feeding Approach and John Barnes Myofascial Release I, II, Unwinding and Pediatrics. Michelle enjoys providing educational seminars to teachers, parents, students and therapists in all areas of pediatric development.